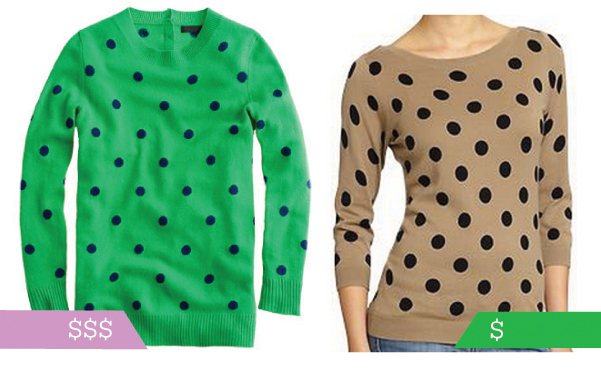 Last week, I got the latest J.Crew catalog and couldn’t stop coveting this polka dot sweater. That is, until I saw the price tag. At close to $300, it would definitely be a splurge. 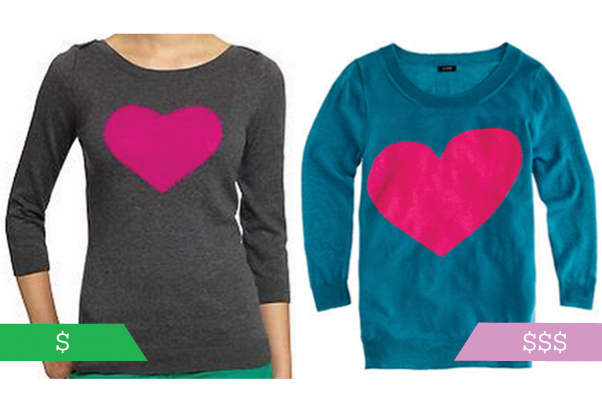 So I was super excited to find similar J. Crew-esque sweaters at Old Navy this weekend for under $25! Here are my two favorites. p.s. They’re sold out of a lot of sizes online, but when I popped into a nearby store, I found lots of sweaters still available. p.p.s. I have a polka dot addiction. 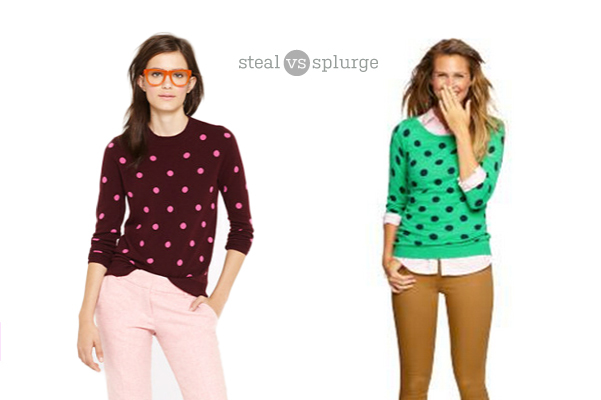 Does anyone hava a item number for the old navy polka dot sweater? ?